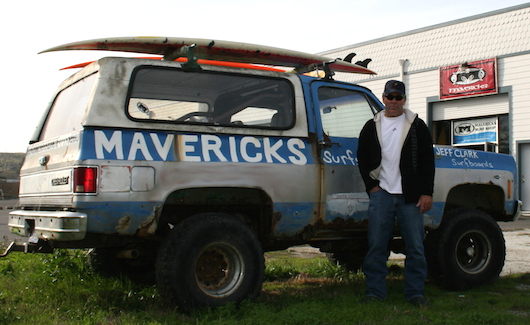 Jeff Clark's Mavericks Surf Company is located in Pillar Point Harbor, just north of downtown Half Moon Bay. With views of the famed Mavericks surf break and home to the original Mavericks Surf brand, the shop is a destination for visitors from all over the world. You'll get a look at big wave surf history and an authentic feel for this special coastal town. Whether you're seeking Mavericks gear, Jeff Clark Surfboards, gifts and accessories or your official Titans of Mavericks shwag, there's something for everyone here. You may even spot Jeff Clark and other surf legends checking out the latest big wave guns. Weekends and Holidays: 9 a.m. - 6 p.m. Check out our Facebook Page for our latest updates. 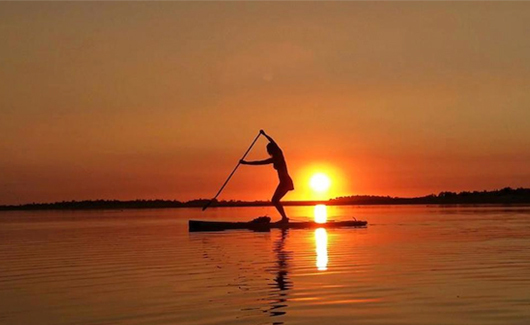 Mavericks PaddleSports is our new shop dedicated to the fast-growing sport of stand-up paddleboarding (SUP). Mavericks PaddleSports is open to the public for SUP rentals, lessons, sales, events, classes, races, awesome SUP gear and clothing, and SUP storage. We’re just 50 feet from the calm, waters of Pillar Point Harbor, the gateway to the Pacific Ocean and Mavericks. Our facility includes a wide selection of flatwater, race and surf SUPs; direct access to the water; an outdoor heated shower; lockers and changing rooms; and a staff here to help with everything from wetsuit fittings to paddle lessons. Open late on glorious days for paddling and for special events! Check our Facebook Page for the latest updates.